Author Mike ShuttleworthPublished on 13/01/2018 15/01/2018 Leave a comment on Fast-Track Project Delivery – Can it be done without sacrificing cost or quality? Delivering any project successfully is always a challenge but, in today’s competitive business environment, there is a growing demand for fast-track project delivery. That is, to deliver projects faster and cheaper than ever before, without compromising on quality or safety. Most of us who have been involved in the delivery of projects will be familiar with what is commonly referred to as the “Project Triple Constraint”. 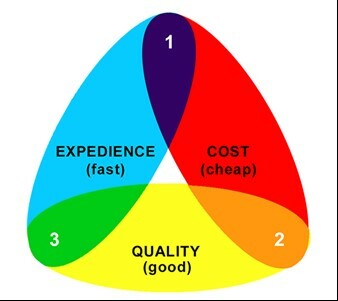 This refers to the interlocking constraints of Time, Quality and Cost. But can a project ever be Fast, Cheap and Good? In a world where the pace of business is getting faster and faster, and everything seems to be needed yesterday, there is growing pressure on Project Management Teams to deliver projects faster than ever before, and without compromising on safety or quality. Most stakeholders will agree that this cannot be done without an increase in cost, but there are some ways of achieving fast-track project delivery and still keeping the cost impact to a minimum. The unmovable constraint on most projects is Quality. Of course, quality standards, which are determined primarily by the required levels of Safety, Reliability, and Performance, may vary from one project to another. However, once these standards have been established, they are generally cast in stone and not negotiable. Cost and Schedule, on the other hand, are constantly being haggled over. The client will always want their project to be delivered faster and cheaper, while the contractor will always want more time and money. Some things have inevitably become faster over the years, none more so than computers and communications. Twenty years ago, having a dial-up modem capable of transmitting data at 56 Kilobytes/second was considered pretty fast, but in 2018 we complain if we don’t have a broadband connection capable of transmitting data at 50 – 100 Megabytes/second. But, just because computers and communication systems have got a lot faster, that doesn’t mean everything else can be done at the same breakneck speed. Improved speed of communication and computing aside, materials still need to be procured, parts need to be fabricated, modules assembled, systems tested and, most importantly, quality needs to be assured to meet the regulatory, corporate and project standards. Making sure your project plan is as robust and detailed as possible before you start the project will help minimise the risk of schedule delays, and allow you to redeploy resources to critical path activities if, and when, other activities are completed ahead of schedule. The earlier you can identify items that have a long delivery lead times, the sooner you can commence the procurement process. In some circumstances, the lead times may still be unacceptably long, and you will need to look for alternative solutions. The sooner you know which items are potentially going to delay the project, the sooner you can start looking for alternatives. You may find that some materials or components are not readily available, and their delivery lead times cannot be guaranteed. If any of these items are on the schedule critical path, it may be worth considering what alternative materials or components are available, and re-engineering the design around these instead. Of course, in such cases, the re-design needs to ensure that the specified quality standards are maintained. Many projects suffer delays because of the large number of organisational interfaces involved in the project, comprising: The Client, Project Management Team, Regulators, Consultants, Contractors, Sub-Contractors, and Vendors, to name but a few. By including key members of each of these organisations within an Integrated Project Management Team, many issues that would otherwise take months to resolve can potentially be resolved in days, and other issues may be resolved before they even occur. 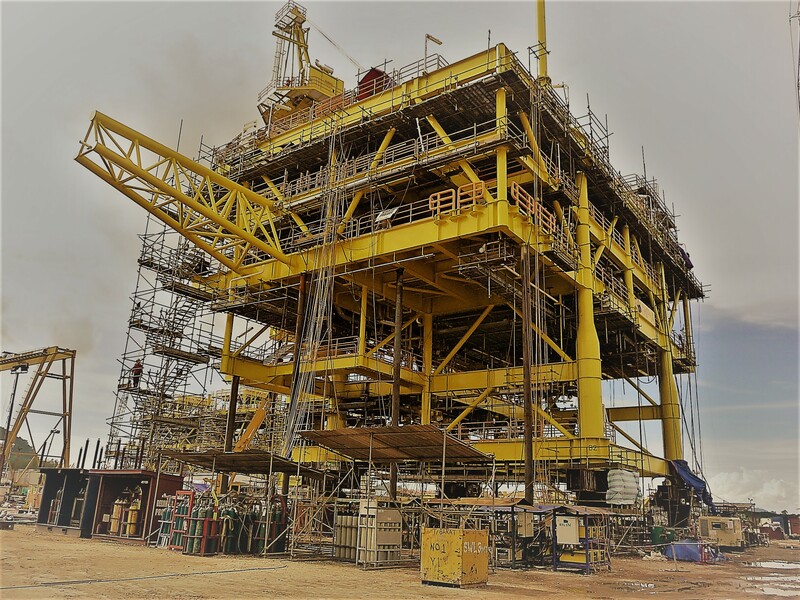 Some systems and structures are constrained in how, when and where they can be built, and in such cases, projects are forced to build them in-situ, at specific times, using specialist equipment and often with limited access to the installation location. Wherever possible, projects should consider building modular plants, systems and structures, that can be constructed and assembled off-site, in controlled environments, and with full access to all parts, tools and equipment needed to complete the module as quickly and efficiently as possible. One of the simplest ways to develop a project schedule is to prioritise its activities against material availability and constructability. That is, the materials and equipment that are available soonest get designed, built, and installed first. However, that is seldom the fastest way to deliver a project to operational start-up. The fastest route to operational start-up would, more often than not, be to prioritise the schedule by system criticality. That means, prioritising the completion of critical system activities, even if the materials and labour for the non-critical activities are available earlier. This is especially important when on-going work on non-critical system activities can delay the completion of work on critical system activities. These are just a few of the methods that can be employed to help fast-track project delivery, without compromising on quality, or increasing cost. This year we will be holding a 5-day training seminar titled “Delivering Fast-Track Projects Successfully”, hosted by PetroKnowledge in Dubai. This training program will address all aspects of fast-track project delivery, from strategizing and planning through to change control and hand-over. To find out more about this training program, please contact us here. Previous article:Monte Carlo Simulation: How does it work? Next article:Project Risk Management Software – Does it actually help?